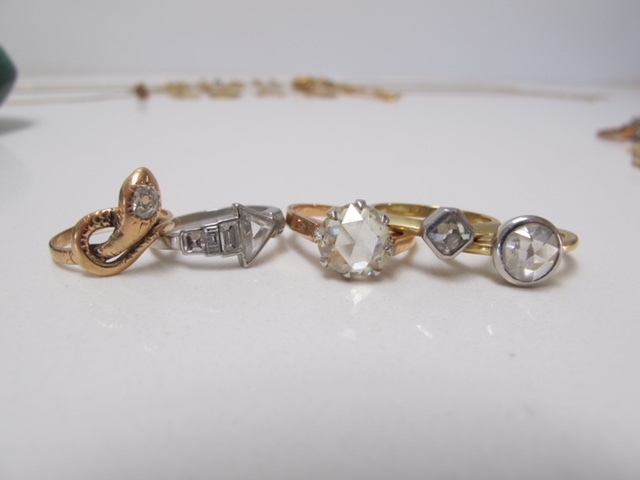 “My love of jewelry started early in life. I was one of those little girls who loved to play dress up and make believe. My mother would find the best vintage gowns, costume jewelry, and shoes at thrift stores and tag sales for me to play with. But, it was definitely always about the jewelry for me. I was obsessed with sparkle. I’d pretend that the rhinestones were real diamonds and emeralds, dreaming of the day when I could finally have the real thing! Fast forward to adult life when the real collecting began. 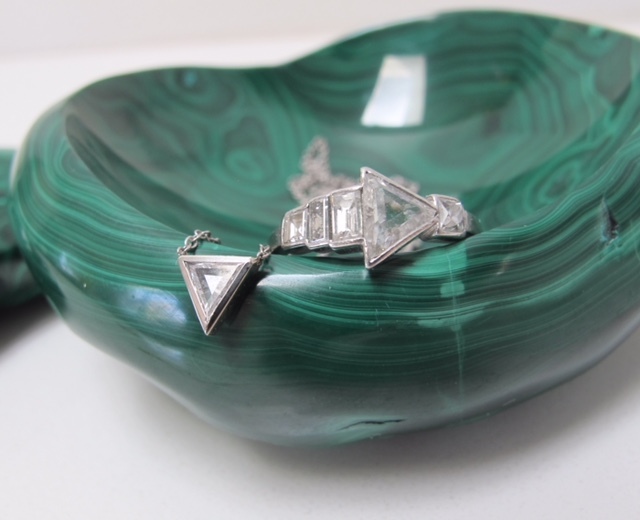 I’ve always been drawn to the architectural, geometric lines of Art Deco era jewelry. 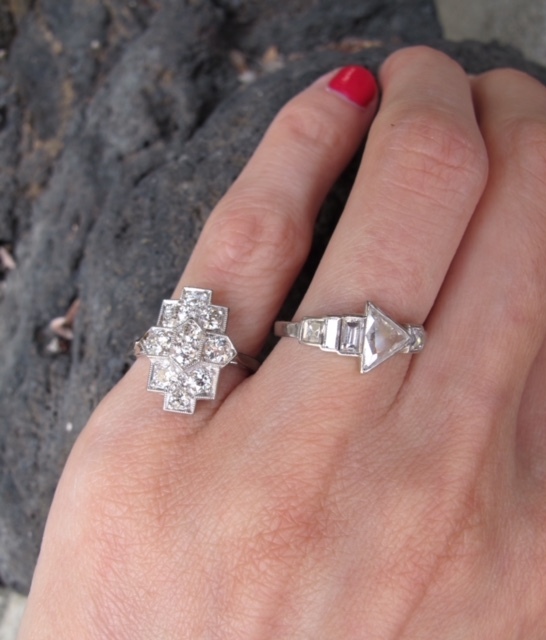 One of my favorite rings in my collection is my platinum Art Deco arrow ring. It’s a piece that I spotted on IG a few years back from @VictorianaJewelry and actually had a visceral reaction to when I saw it. Heart palpitations and all! No other piece of jewelry has made me react that way; I knew it had to be mine! 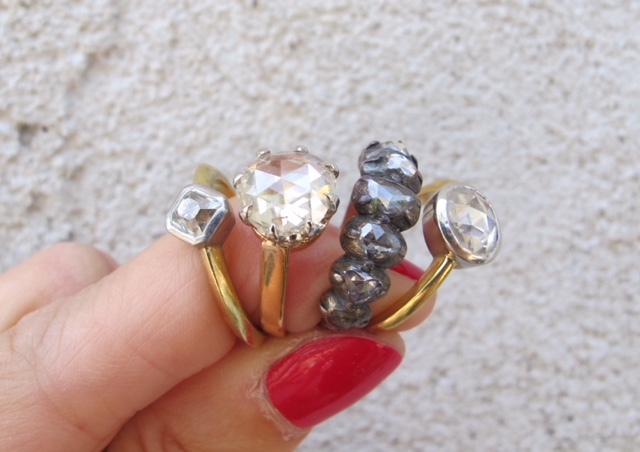 All the elements I love in one ring: uniquely shaped diamonds, Art Deco, and a simple/sleek setting. I wear it to remind myself to stay pointed in the right direction. Charms are another favorite in my collection. My mother started a sterling silver charm bracelet for me as a little girl. 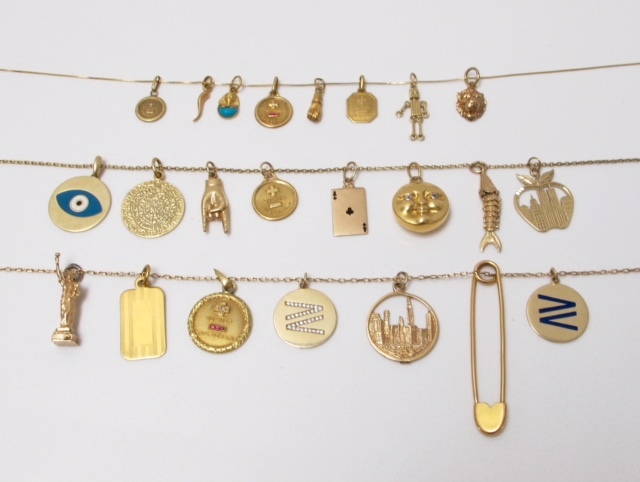 We’d pick up new charms whenever we traveled someplace new as a family. 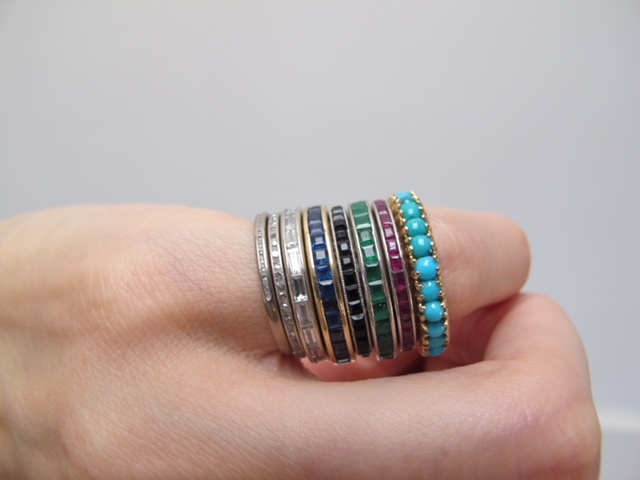 It was such a fun way to commemorate happy memories of family and travel. Speaking of which, next time I’m back at my parent’s house on the East coast, I need to find that bracelet! 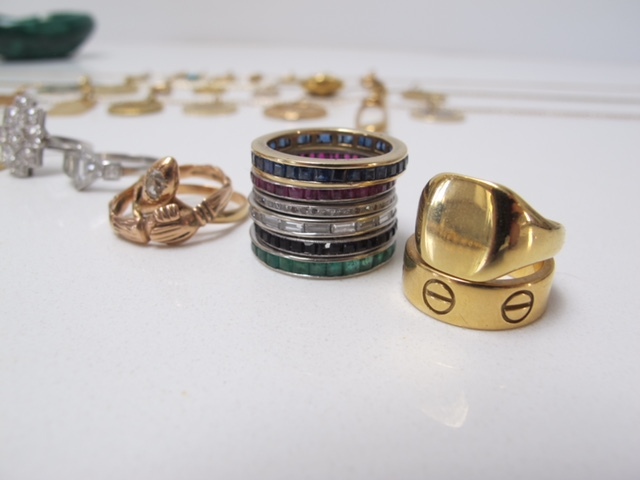 As for my current charm collection, I collect pieces with personal meaning or visual interest. 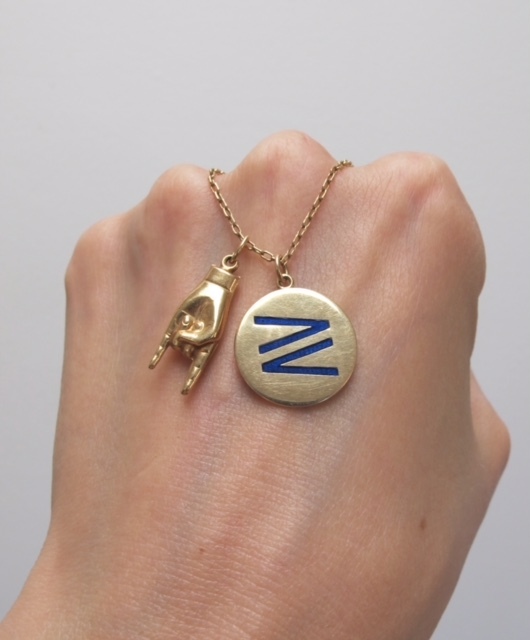 An everyday favorite that is always in my neck stack is a love token I designed with the “greater than less than” math symbols meant to signify growing love (romantic and self) along with a lucky gold mano figa charm. Charms are such a great way to tell a story and I’m always searching for more, especially miniatures that I’ve recently started collecting. 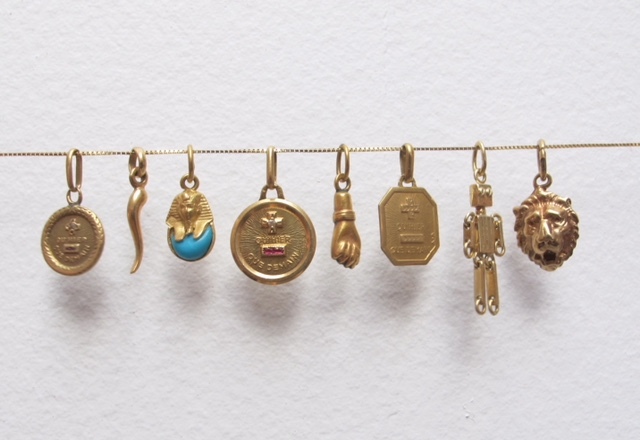 My miniature charm collection is small at the moment but that’s what I love about vintage/antique jewels, the hunt for the next piece! 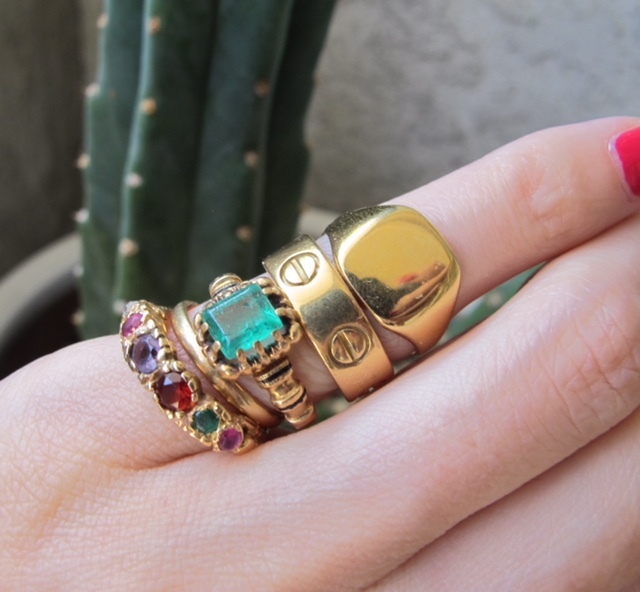 I love Gem Gossip and to me the Jewelry Collection Stories are the best. Gem Hunter is one of my favorite stores. 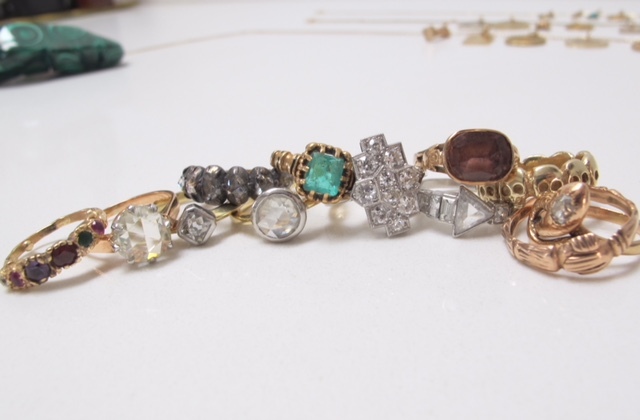 It is so fun to see these personal collections and to hear the stories behind the jewels.